Are you looking to do some home improvements this season, but want to stick to a budget? Whether you are trying to entice potential homebuyers or just want to give home a quick spruce up, here are a few tips toward affordable and easy home upgrades. * Start small. Small improvements, like a fresh coat of paint or an attractive new floor truly update a home because people's eyes tend to notice surface areas first. According to the International Association of Home Stagers, investing in small upgrades can increase a home's value as much as 7% - and new floors have proven to return nearly twice the value for every dollar spent. * Shop around. From mattresses and dining room sets to LCD televisions and sofas, you might be surprised to find the home decor items on your shopping list at budget-friendly spots like thrift stores, boutiques, and warehouse clubs. * Accessorize, accessorize, accessorize. If a new sofa or coffee table isn't in the budget, infuse a room with energy and color by adding simple finishing touches like pillows, artwork, and rugs. Flea markets, estate auctions and garage sales are unexpected sources of one-of-a-kind and often inexpensive way to add color and personality. * Clear the clutter. Piles of papers, toys, and books can detract attention from the unique items that make a house a home. If your space and your budget are tight, organize everyday items with furniture that pulls double duty such as a storage ottoman or a bookshelf with built in compartments. What do short sale & foreclosure mean? In today's market we have begun to hear new words as common language when buying and selling real estate. Words such as pre-foreclosure, short sale, foreclosure, and distressed property. What does it all mean and how does it affect you? A short sale is a situation in which the seller (1) owes more money on the loan than the sale of the property will likely produce on the market and (2) is unable to bring money to closing. A seller may or may not be in the pre-foreclosure process. How does this affect you as a homeowner? Are you a homeowner that has felt the affects of the economy? The Grove Team can help and there are ways to avoid a foreclosure process. Extensive training and experience have allowed us to streamline the process as much as possible to assist homeowners navigate their way through the short sale requirements. If you find yourself in a distressed situation - we are available to work with you. Contact us directly for more information and resources to better assist you. Curious about your market value? Are you curious about how much your home would sell for? The Grove Team is happy to provide you with a FREE market analysis. Did you know that 80% of the marketing of your home is done with the pricing alone? Contact the Grove Team directly or click here to coordinate your home evaluation. Located in the master planned community of Park Glen - Completely remodeled and refreshed, this five bedroom home has been reduced in price to $182,000. Open this weekend to the public - Saturday, July 24th from 1:00 - 3:00pm. Call the Grove Team to arrange a private showing. Click here to print your personal listing flyer of this home. At AF Insurance, they are in the business of getting our clients back where they belong when the unexpected occurs. Together they work hard to build a strong relationship with you and what is important to you...your family. Truly a breath of fresh air, the group at AF Insurance are dynamic bunch. Providing services for HOME * AUTO * COMMERCIAL * RENTAL * LIFE * HEALTH; Travis, Jonathan, and Andrew are available to meet with you and give you the peace of mind you'll need to sleep a little easier at night. Why use a Texas Realtor? 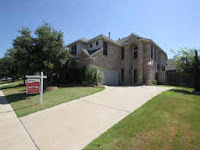 Each member of the Grove Team is a Texas Realtor. Texas Realtors work together to make sure homeowners and other private-property holders are treated fairly by lawmakers and regulatory groups. After all, no one knows the business of real estate better. They can see where improvements should be made and can identify proposals that would adversely affect real estate. They then work on these issues, and property owners reap the rewards. For example, since 1994 Texas has allowed agents to represent buyers in their transaction. The National Association of Realtors shows that when a buyer works with a listing agent to purchase a home they will pay more than if represented through a buyer's representative. As a buyer, the Buyer's Representation Agreement allows your agent to be YOUR advocate through all aspects of the transaction. The Grove Team has specially trained agents to assist you through the home buying process. Would you like to know more? Call us directly! Is a home warranty right for me? As a team, we always recommend to each of our buyers to consider purchasing a home warranty for their new home. A home warranty is that added "insurance policy" that helps to ensure the basics systems of your home are covered and running. "No one should be without a home warranty! I purchased home warranty coverage at the beginning of May and since then my family has saved over $2,000.00 in home repairs. The first service call was when my oven stopped working. 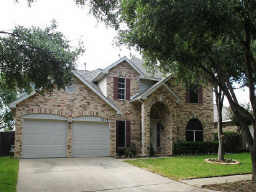 The circuit board had gone bad -the home warranty covered the repairs that exceeded $300.00. I was out only the $60.00 service call fee. Most recently, over the the July 4th holiday our air conditioning unit for the downstairs was no longer cooling. We contacted the warranty company and learned the condenser failed. The warranty contractor was out to the house, accepted my $60.00 service call fee and the remaining $1,800 in repairs was covered under the warranty! Nothing more out of our pocket, just a nice smile from the repair technician and a receipt for the $60.00 service call fee." Remodeled and refreshed throughout, manicured landscaping, and nearby exemplary Keller Elementary School. Nothing short of a treasure! There's absolutely no wasted space in the well designed five-bedroom floor plan. From the granite counter tops in the kitchen and baths, to the awesome laminate wood flooring in the living and dining areas, the quality is apparent. Additional updates include interior paint, carpet, ceiling fans, brushed nickel light fixtures, door levers, and plumbing fixtures. Two living and two dining area invite a gathering of family and friends. After those great family times, you cam relax and refresh in the generous master suite, which is downstairs for convenience and privacy. You will love the adjoining spa-like bathe, with expansive vanity (granite of course), garden tub, and tub separate shower (surrounded by porcelain tile). The secondary bedrooms are spacious as well and share an upstairs game room-so handy with teens. Make this awesome home yours today! Contact the Grove Team to schedule your private showing of this grand new listing! Serious gardeners plan perennials no annuals, right? Well, yes and no. They plant perennials for beauty that returns from one year to the next, but they also indulge in annuals to bring season-long color to the garden. Annuals fill in bare spaces between newly planted perennials and provide continuous color to augment the shorter blooming times of most perennials. They supply flowers and foliage for containers, temporary camouflage on fences and arbours, and an unending supply of flowers in cutting gardens. The easiest annuals grow successfully from seeds you sow directly in the garden. Some, like bachelor's buttons and Shirley poppies, prefer the cool soil and temperatures of early spring, but most germinate best when you sow them in warm soil, after all danger of frost has passed. Try cosmos, marigold, morning glory, sunflower and zinnia, which are all easily grown from seen sown in warm garden soil. Do you have questions on landscaping ideas to help sell your home? Contact the Grove Team to schedule your FREE market analysis today! Are you and your family looking for things to do during these lazy days of summer? Bring a blanket, lawn chairs, picnic, family and friends and listen to favorite music as you relax under the big Texas sky. Keller Parks and Recreation invites you to attend their annual Concerts in the Park from 7:00 to 10:00 p.m. in Bear Creek Park. Saturday, August 21st - features award-winning singer, songwriter, and performer, Eddie Coker who has entertained millions of children nationwide since 1987. For more information, contact Keller Parks and Recreation at (817) 743-4050. Situated in popular Parkwood Estate on a nice-sized lot, this handsome home is convenient to shopping, dining, and schools (Keller ISD). A marvelous floor plan with space in all the right places and custom touches including arches, art niches, and ledges make this welcoming home a must-see. You could not ask for a better kitchen with upgraded appliances, island breakfast bar, and counter space to spare. Friends and family will enjoy time spent in the stunning family room - with vaulted ceilings, generous windows, and beautiful fireplace. The master suite is downstairs for convenience and privacy. Enjoy a relaxing bath in the garden tub or an invigorating shower in the spa-like ambiance of the en suite bath. The three upstairs bedrooms are generous as well, one with its own private bath, ideal if you're looking for a multi-generational home. The upstairs living provides room and flexibility. Coming home each day to this charming home will be a pleasure! The vaulted ceilings and open floor plan provide a feeling of spaciousness. the living room, which easily accommodates oversized furniture, features a welcoming fireplace. Combined with the two dining area, it invites a gathering of family and friends. The kitchen boasts built-in appliances and ample cabinet and and counter space. From the welcoming nook you can view the nicely landscaped back yard through the bay windows. The master suite provides privacy you'll appreciate and the spacious master bath, with garden tub and separate shower offers dual sinks. The back yard, with mature fruit trees, storage building, and open patio is a great place to relax and refresh. The oversized garage will come in handy for storage or home projects. The established family-friendly community is close to shopping, schools, city hall and more. 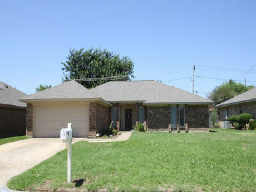 Offer to you by the Grove Team for $141,900 - call us today to schedule your private showing! After a close brush with a deadline that could have impacted tens of thousands of home buyers, the U.S. Congress last night passed an extension of the Home buyer Tax Credit closing deadline. The extension is included in the Home Buyer Assistance and Improvement Act (H.R. 5623) and will prevent as many as 180,000 home buyers from losing their eligibility for the tax credit through no fault of their own. These households had home purchase contracts pending as of April 30 and had until June 30 to close on their purchases to claim the federal tax credit. Under the legislation that passed last night, these households now have until September 30 to close. The NATIONAL ASSOCIATION OF REALTORS® supported extension of that closing deadline because buyers are experiencing delays in getting their financing closed. The delays are the result of the large number of transactions that are short sales, which can take a long time to close, and the rush of transactions lenders are processing from buyers submitting contracts before the April 30 contract deadline. The legislation, which now goes to President Obama for signature, is designed to create a seamless extension of the closing deadline; there will be no gap between June 30 and the date the President signs the bill into law. NAR worked closely with congressional leaders on both sides of the aisle in supporting lawmakers' passage of the legislation, which the association says will help provide additional stability to real estate markets across the nation.